Kells Brew Pub just announced some exciting news! First, they're celebrating their 3rd anniversary on Saturday, September 19. You can enjoy $3 Kells beers all day at their Northwest Portland pub. Even more exciting, is the news that they'll begin to release their three flagship beers in bottles. 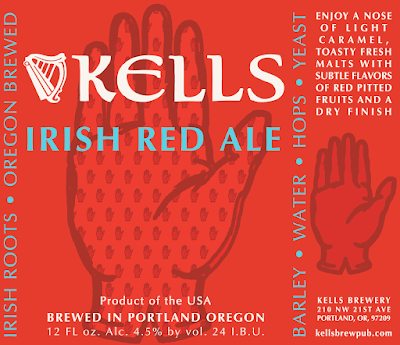 You'll soon enjoy 12 oz. 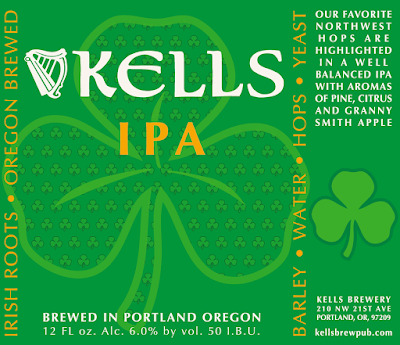 six packs of Kells Irish Red, Kells Irish Lager, and Kells IPA. For all of the details, check out the news release below. Congrats to the Kells crew on these big milestones! Sláinte! 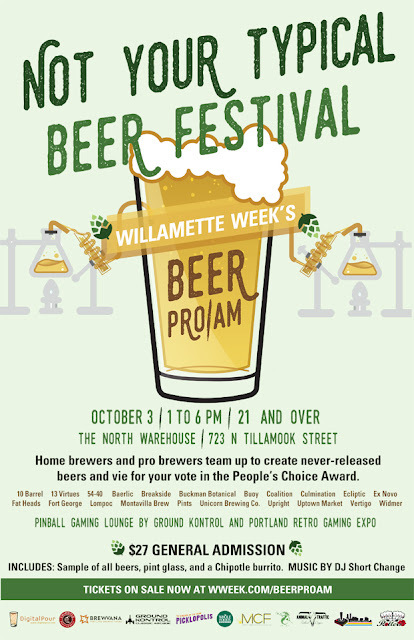 Willamette Week is hosting its 3rd Beer Pro/Am. This unique festival pairs 20 professional and home brewers who partner to create a festival full of unique, one-of-a-kind beers! The $27 entry fee includes admission, a pint glass, samples of ALL the beers, plus a Chipotle burrito! 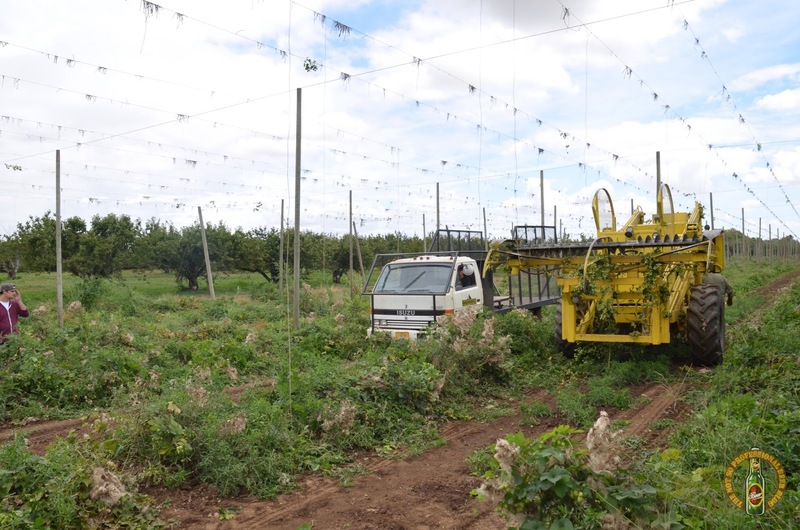 The event will be held from 1-6 pm on Saturday, October 3. For more details, check out the event Facebook page and the news release below. Click here to purchase tickets. 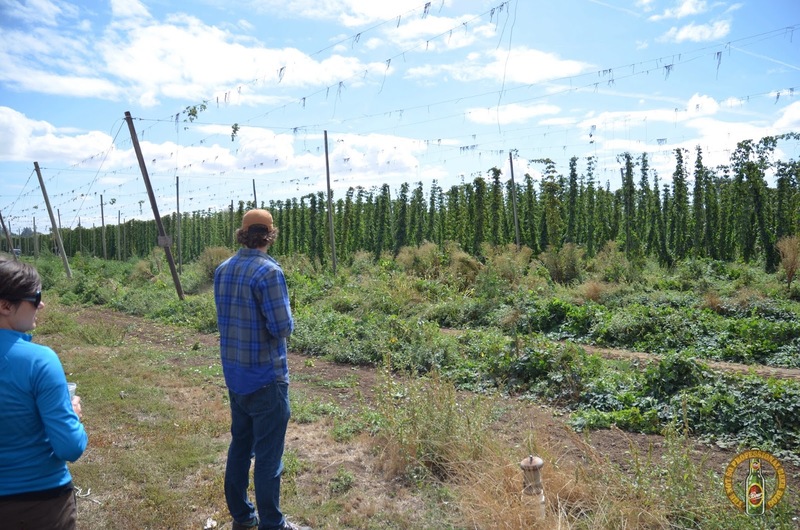 Willamette Week's Beer Pro/Am returns for year three! 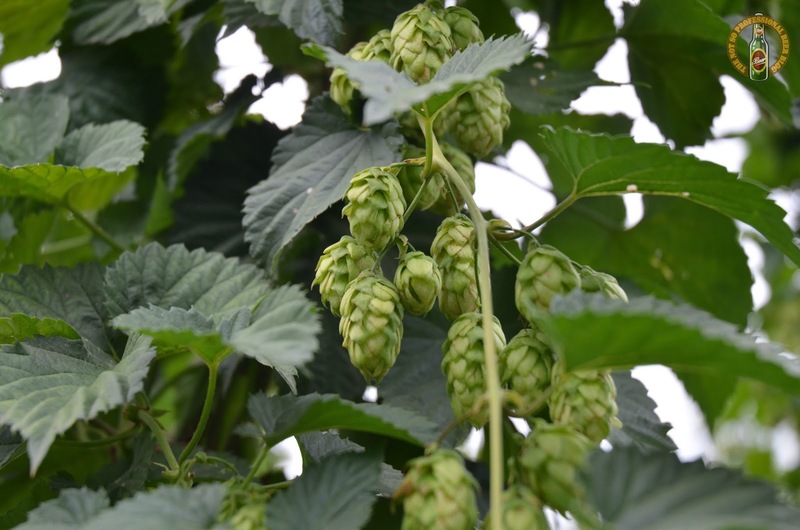 Professional brewers and home brewers team up to create never-been-brewed beers and vie to win People's and Judge's Choice Awards. 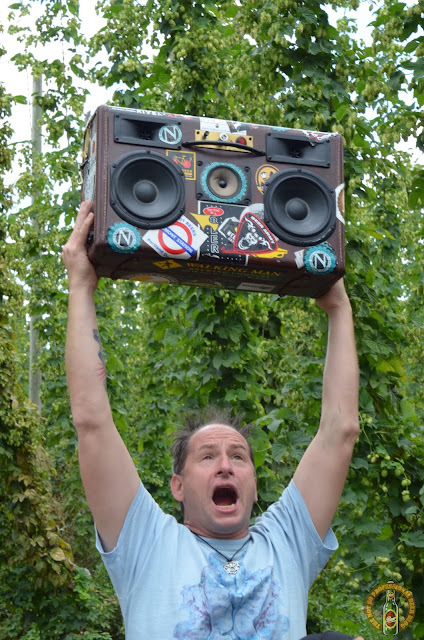 Guests taste 20 beers (at one price with no cumbersome token system), meet the brewers who made them, groove to music byDJ Short Change, network at vendor booths and enjoy good company under the roof of The North Warehouse (723 N Tillamook, previously Metalcraft Fabrication). Not to mention the fun addition of the Retro Gaming Lounge Presented by Ground Kontrol Classic Arcade and Portland Retro Gaming Expo! 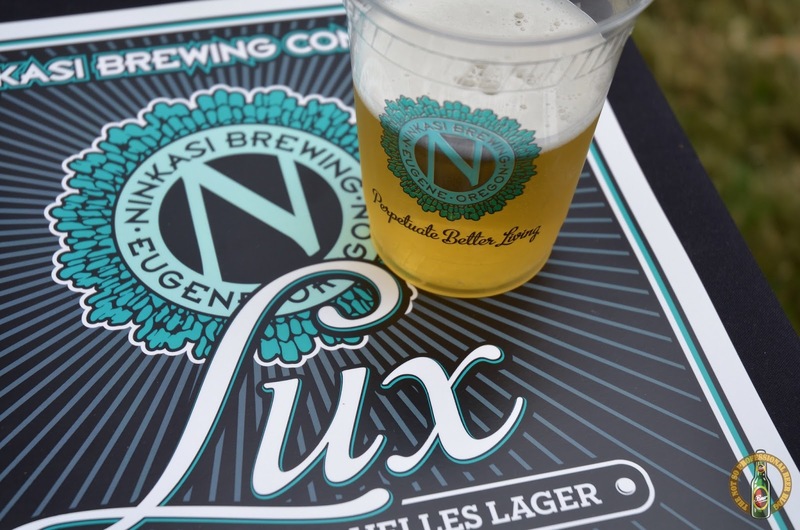 This is not your typical beer fest. WW's Beer Pro/Am is a chance to try experimental and unique brews you can't get elsewhere. Join us for one of Portland's most creative beer events. Want to volunteer? 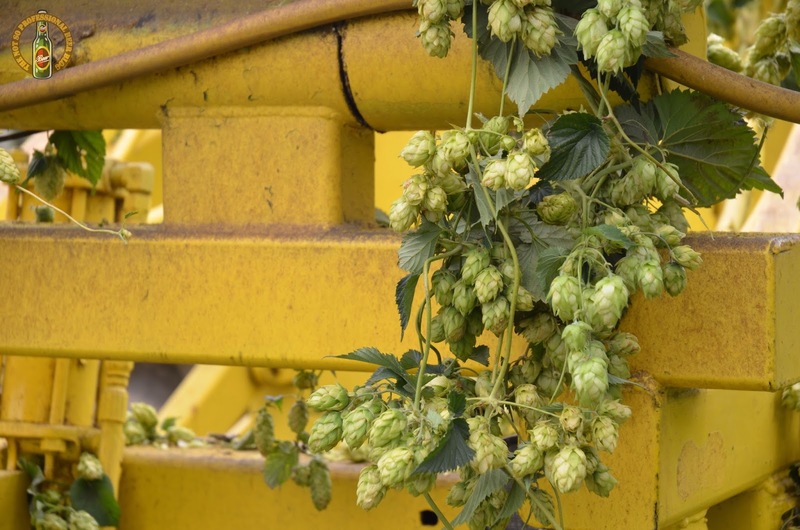 State your interest in a quick note to beer@wweek.com. Want to sponsor? Email sbarnhart@wweek.com. Limited spots remain! Saturday, October 3, 1:00 - 6:00 p.m.
On Thursday, September 27, we'll be treated to a full lunar eclipse. It's a special event that calls for a special beverage. Dave Seldon wants you to have a beer—a very dark beer. One that's black as night. Dave Seldon is the founder of Portland-based 33 Books Co. Dave launched his company with 33 Bottles of Beer, a pocket-sized beer tasting journal. It was a successful idea that exploded in popularity. In addition to beer, 33 Books has published tasting journals for a wide variety of artisan food and beverage categories including wine, cigars, chocolate, scotch, cheese, coffee, champagne, oysters, hot sauce, and wait for it—doughnuts! I hope and pray that 33 Slices of Bacon will soon come to fruition! Black as Night. Black as Stout. A total lunar eclipse visible from the Western Hemisphere will take place on September 27, 2015, the last we'll see in many moons. In honor, I recommend drinking something dark. 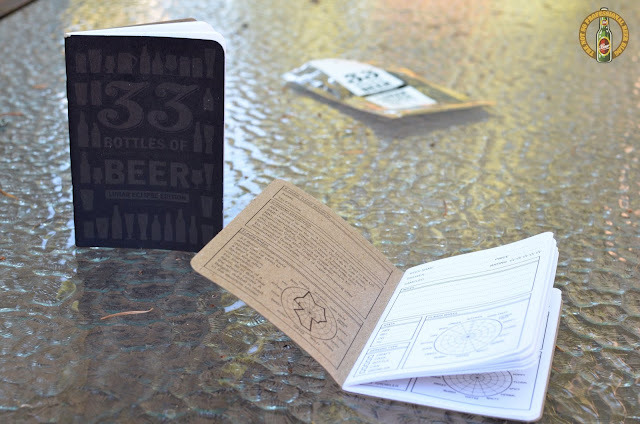 I've been aging these limited-edition books in a beer barrel that was originally used to age American whiskey. The books have a pronounced aroma that I think you'll find goes particularly well with big stouts and the movement of celestial bodies. Yes, the books do actually have a light aroma of whiskey. Dave's suggestion sounds like a great one! I think the total eclipse will be the perfect opportunity to unearth an imperial stout from my crawlspace. 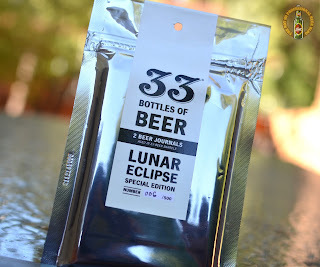 I think a bottle of The Abyss '11 from Deschutes will be an excellent choice to break in my Lunar Eclipse Special Edition. 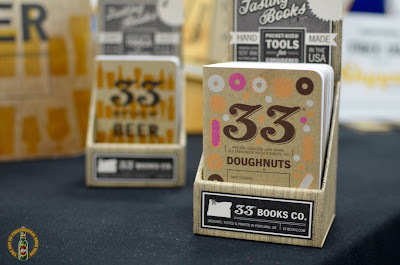 To learn more about 33 Books Co. and to see the full line of tasting journals, maps, and other goodies, please visit the 33 Books website. Hop harvest season is in full swing! 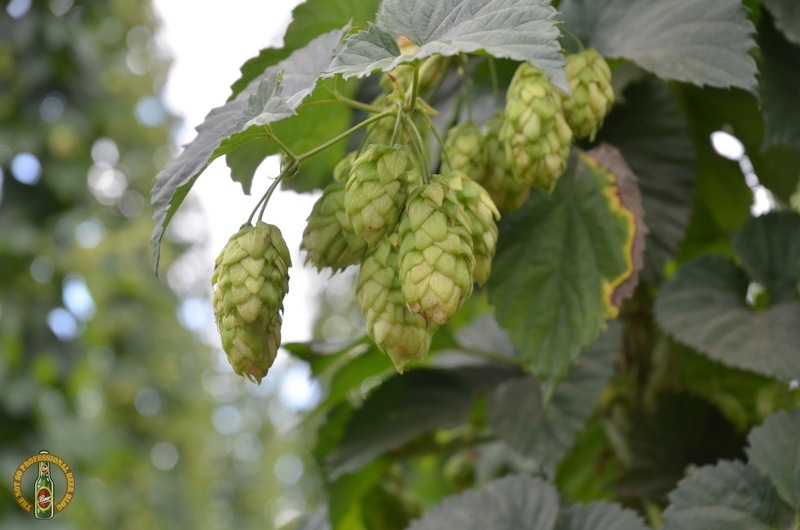 Beer lovers in the Northwest should be proud to know that most of our nation's hops are grown in Oregon and Washington. Two weeks ago, Ninkasi Brewing Co. invited me to join them on a tour of Sodbuster Farms, in Salem. 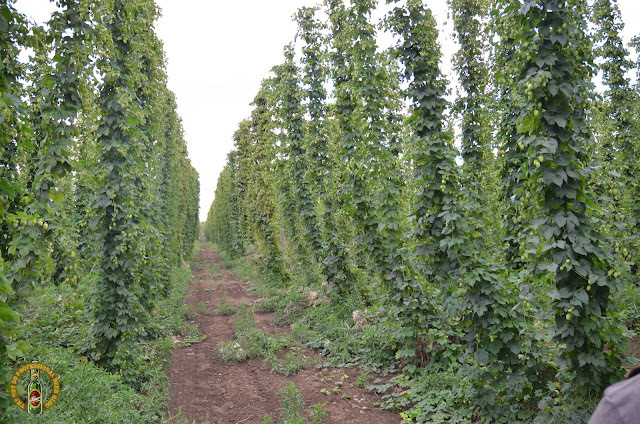 Sodbuster grows twelve varieties of hops and has been family-owned and operated for five generations! As part of the harvest process, hop bines (which grow up to 25 feet high in a single season) are first cut down. 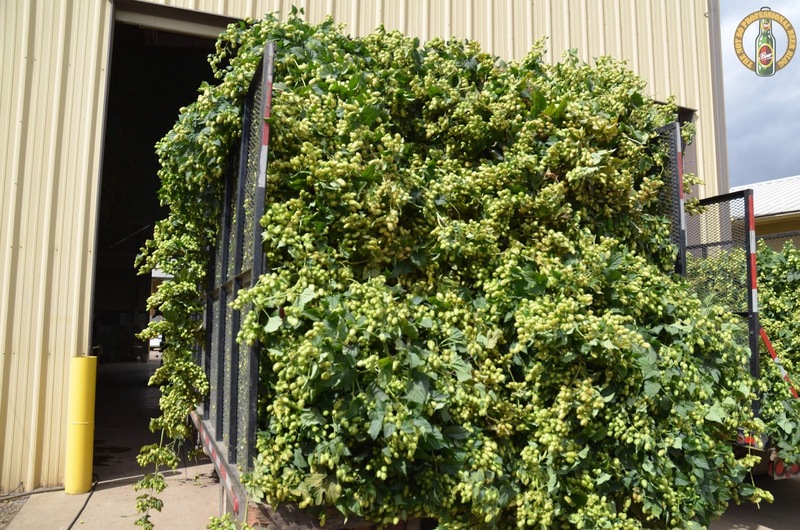 Next, the hops are mechanically separated from the bines, dried and packaged. In order to harvest at the peak of ripeness, hop growers run their operations around the clock during the short 4-5 week season. 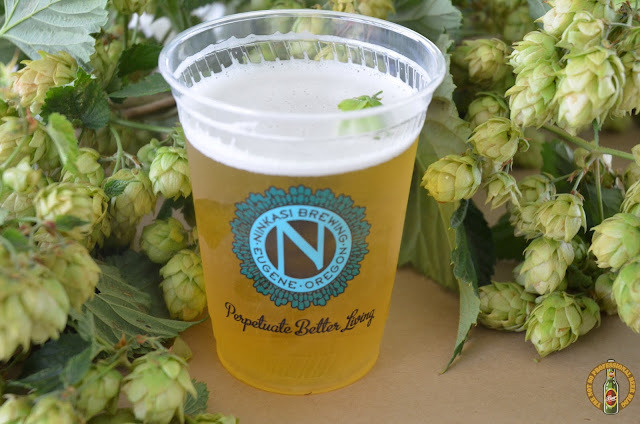 Thanks to Ninkasi and Sodbuster Farms for a great day—and plenty of delicious beer! 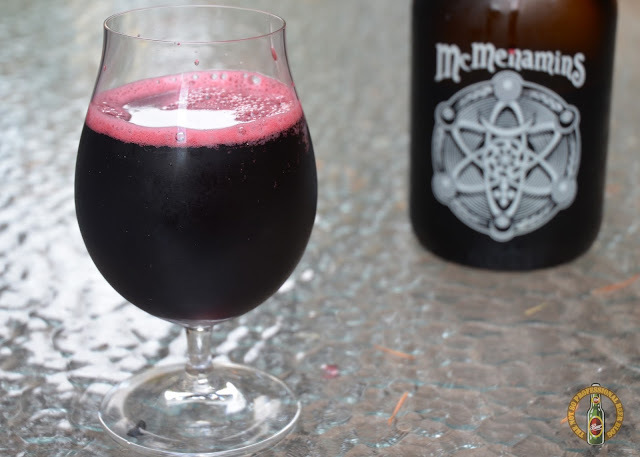 In addition to beer, McMenamins also produces wine and hard cider. 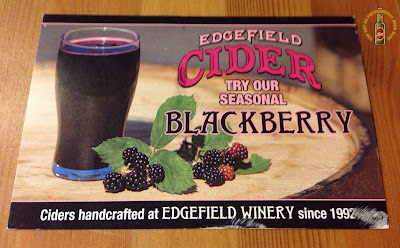 I knew of their wine, but I wasn't aware of their cider until they invited me to pick up a sample mini-growler of their seasonal Edgefield Blackberry Cider. "As the seasons change, so does our specialty cider, crafted at Edgefield Winery. Dark garnet in color, the aroma of fresh blackberry bursts from the glass. The tart blackberry component is balanced out by a small amount of residual sugar, with a hint of apple as well." I was pleasantly surprised by what I tasted. While it was sweet, as expected, it was nicely balanced by a near mouth puckering tartness. 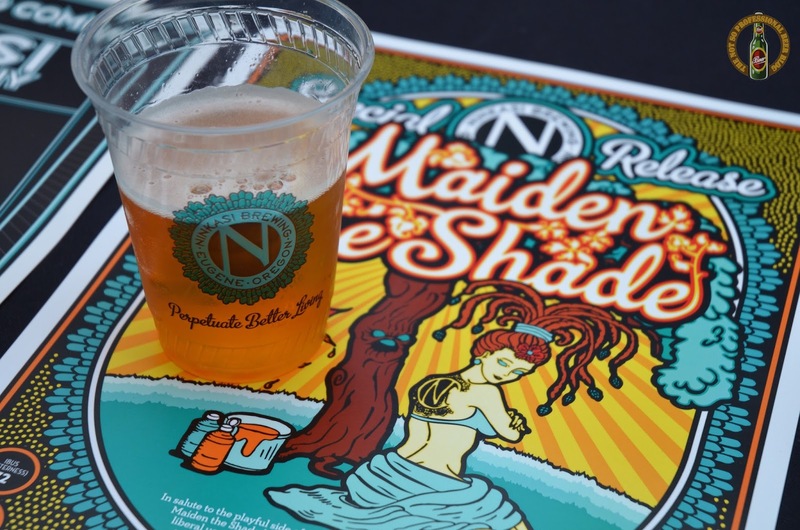 McMenamins' description of this cider is spot on. It has loads of blackberry aroma and flavor. It doesn't taste like an apple cider with blackberry. Instead, it's more like a blackberry cider with a bit of apple. If you're a fan of blackberry, you should give this a try. 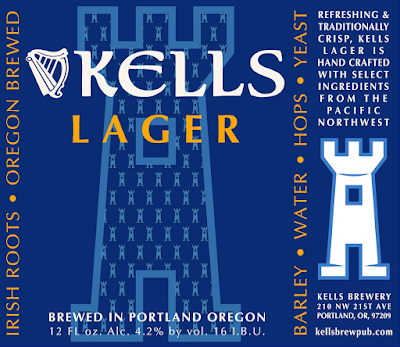 It's available now through the end of October at McMenamins' pubs and restaurants.